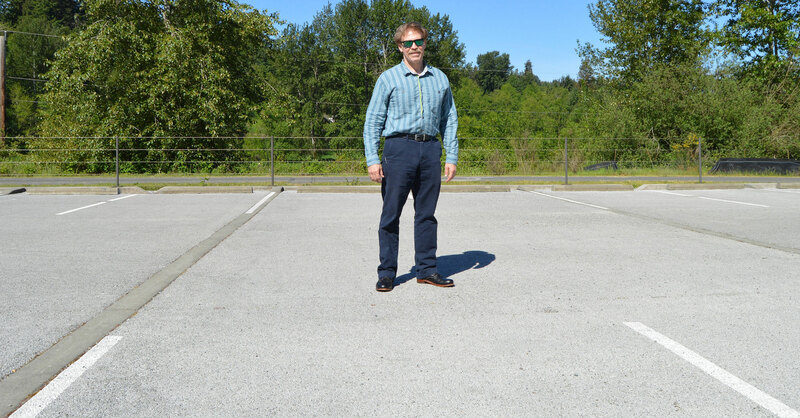 WSU environmental toxicologist John Stark stands on the rebuilt parking lot that, in essence, drinks polluted rain runoff. The wetland is behind him. An environmental toxicologist who oversees Washington State University’s Puyallup Research and Extension Center, Stark studies ways to make blacktop green. Stormwater runoff – or polluted rainwater, as he likes to call it – is a sinister byproduct of our urban life. Whether in the Pacific Northwest or the Eastern Seaboard, rain that beats down onto conventional roads and parking lots picks up contaminants as it is channeled into creeks, rivers, lakes and oceans. Roughly 85 percent of the water pollution in the United States is caused by this kind of runoff, according to the U.S. Environmental Protection Agency. A parking lot located at the WSU research center south of Seattle once produced this toxic brew. Whenever it rained, water would slide off the pavement, picking up oil, road grime and heavy metals as it flowed downhill into a nearby wetland. Under the long shadow of Mount Rainier along timbered knolls and tall grasses, it was not a pretty picture. So Stark and his colleagues went to work. Using grant money issued by the Washington Department of Ecology to the City of Puyallup, in 2010 they installed a new parking lot that, in essence, drinks water. 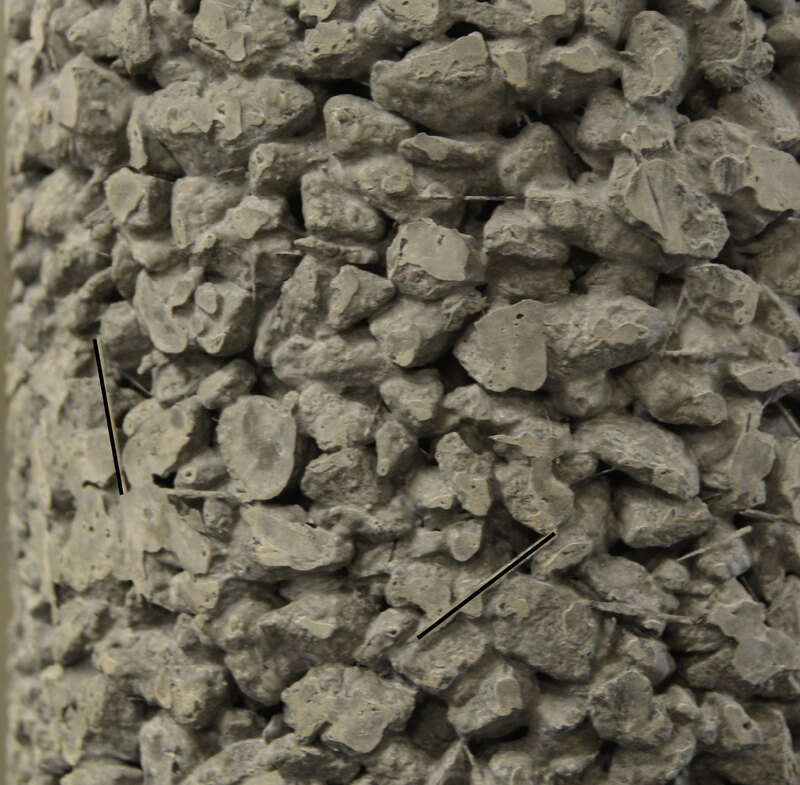 Made of permeable concrete and asphalt, the sponge-like surface prevents rainwater from dispersing and picking up pollutants as it goes. If a parking lot can be paved with good intentions, it’s this one. Besides providing a space for people to leave their vehicles and corralling polluted runoff, it also serves as a full-scale laboratory for collecting data to help cities and counties nationwide. Though permeable paving is effective in parking lots and side roads, it’s generally not strong enough for heavily-traveled highways. So Stark is collaborating with Boeing and engineers from WSU’s Composite Materials and Engineering Center to see if adding the same material found in the wings’ outer surface of the 787 Dreamliner will make the grade. Light-weight carbon fibers reduce the airplane’s weight while adding durability. 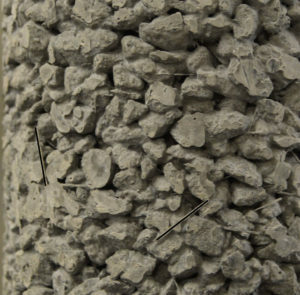 By incorporating these black strand-like fibers into porous asphalt and concrete, WSU scientists are seeing if permeable pavement can be made more durable. They’re also validating that the composite material doesn’t leach contaminants. Boeing donates scrap carbon fibers for the research and provided a $212,000 grant to get it started. Though still in the experimental phase, “preliminary results look promising in terms of increasing the strength of the pavement and reducing the toxicity of pollutants,” said Stark. Working with WSU engineering, his next phase of research will evaluate the durability of the modified pavements on experimental stretches of asphalt exposed to vehicle traffic. Researchers will examine whether the addition of carbon fibers increases pollution filtering and how long the filtering process lasts with wear and tear on the asphalt.